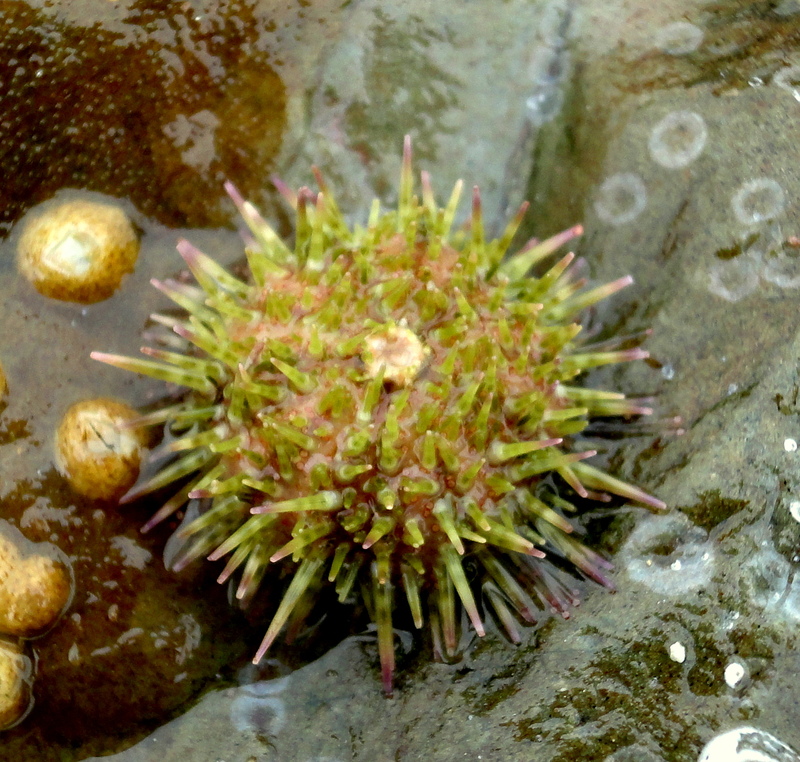 “Let’s go rockpooling.” It’s a familiar cry in our house, but for once it’s not me saying it. It’s a luxury to live within walking distance of the beach; a luxury I pined for when I moved away from Cornwall for work in my twenties. 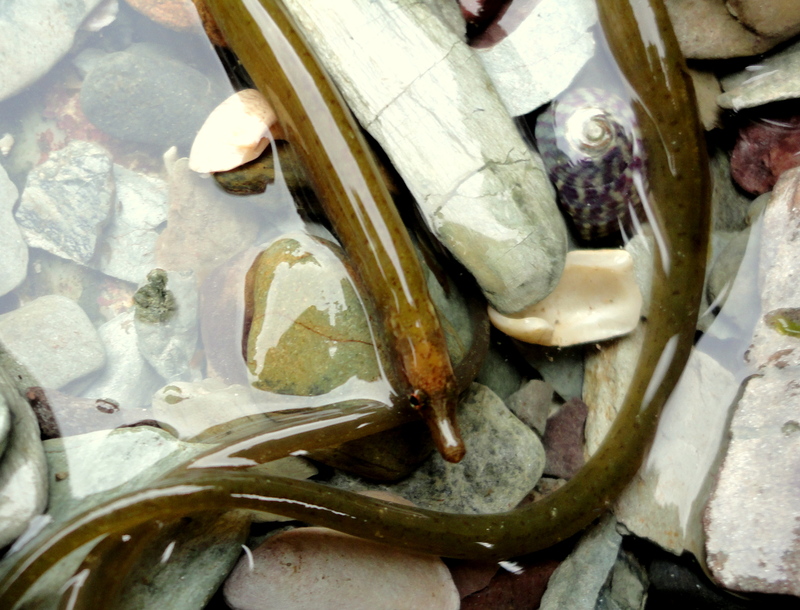 Now I’m back and any time the tide is low I can wander down to the shore and rummage in the kelp and pools. Often, though, life gets in the way. Even when conditions are perfect, there are jobs to be done, people to see, deadlines to meet and the rest of the family to consider. 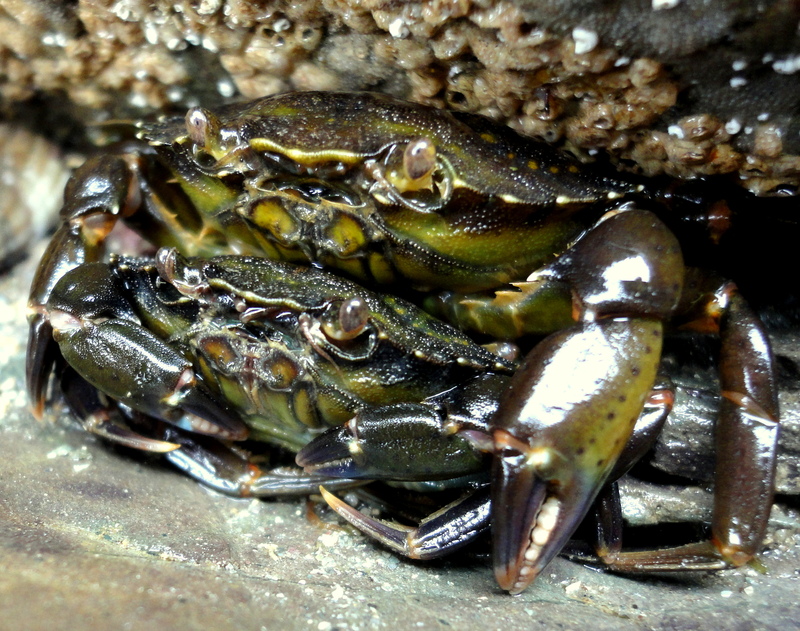 They enjoy rockpooling, but I sometimes suspect they maybe don’t love it to the same extent I do. So, moments like this are precious. It’s not raining yet, my partner fancies a wander on the beach, our son’s keen to get out of the house and it’s a long bank-holiday weekend. Work can wait. “Great,” I say. “Let’s go.” Within five minutes we’re all wellied-up and out of the door and ten minutes later we’re on the shore. We file through rocky gullies and gravelly streams under an overcast sky until we meet the sea. Crabs scuttle between our feet. There are egrets and grey herons hard at work, mopping up the remains of the thousands of young fish that have been stranded in the shallow water the last few days. Just offshore, great chattering crowds of herring gulls and greater black-backed gulls are hanging about waiting for another feast. We stop by a rocky overhang, gently turn stones and peer into rocky crevices. My son finds a baby shore crab, an edible crab, a handful of jumping amphipods and a baby blenny. 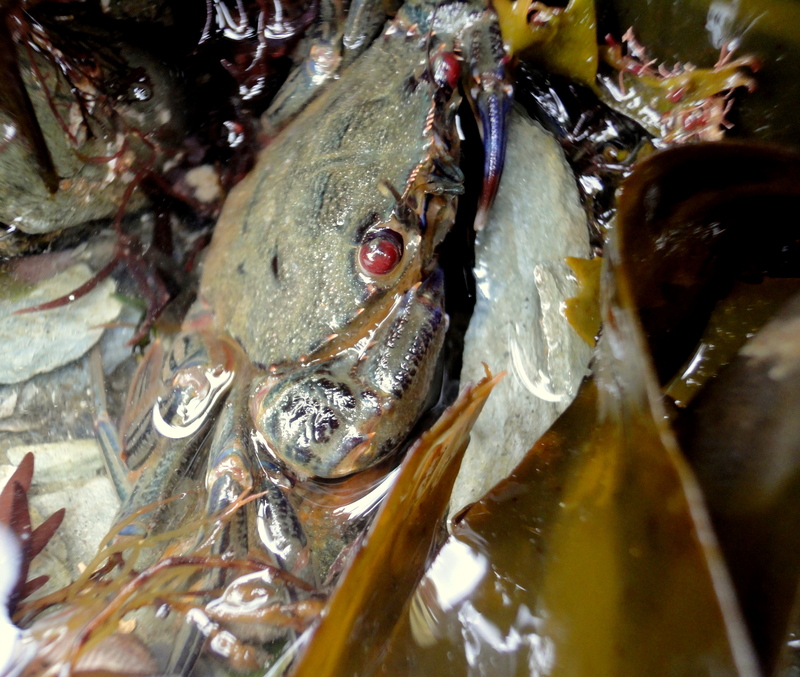 He spots the red eyes of a velvet swimming crab, or ‘devil crab’ as he calls them. 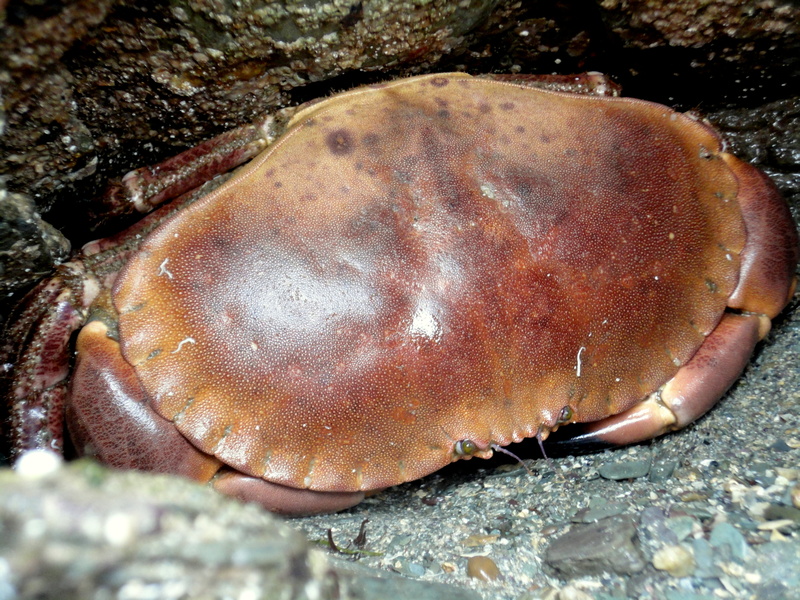 We lift a dripping brown curtain of seaweed and find much larger crabs nestled in rocky caves, staying damp in their hideaways, gills bubbling, waiting for the incoming tide. 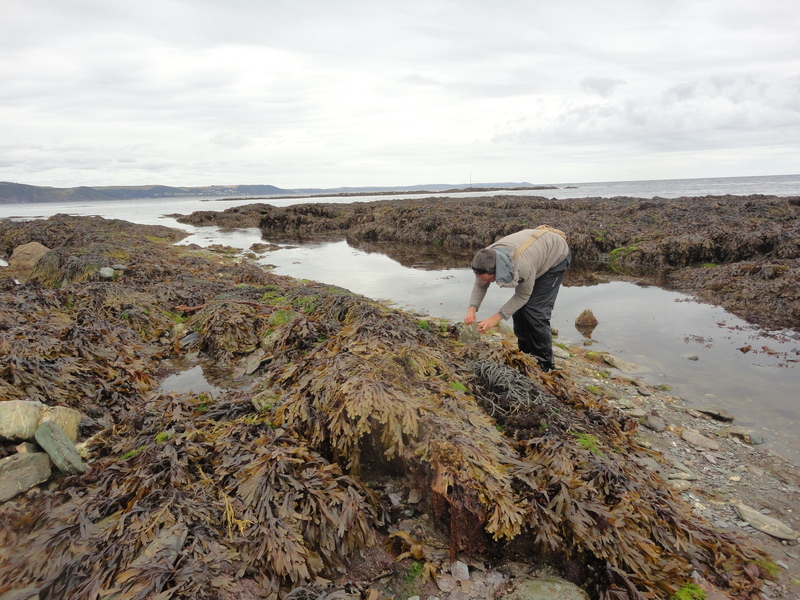 We swing the seaweed back into place and leave them safe from the fishmonger’s slab for another day. 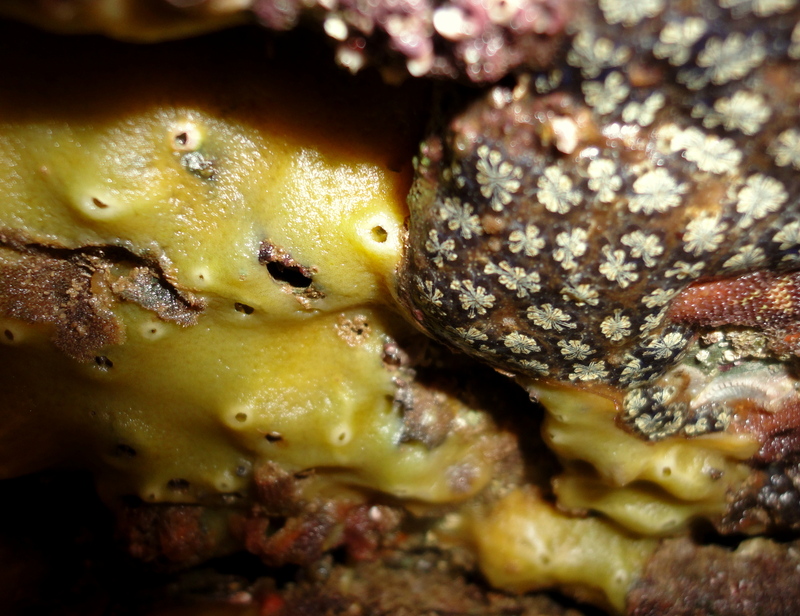 Pink encrusting seaweeds cover the exposed rocks and in the shadows crocus-yellow breadcrumb sponges, red bryozoans and the twinkling white flower shapes of the star-ascidian sea squirt form an animal mosaic. 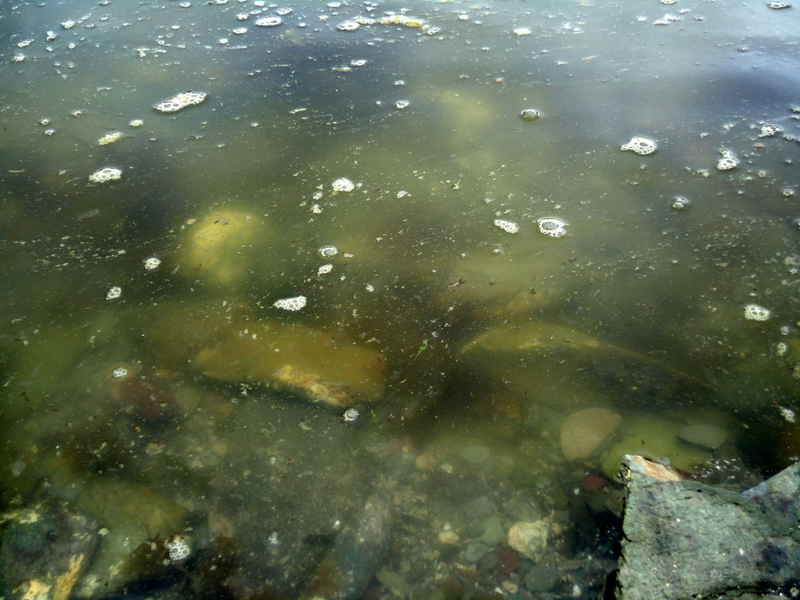 The tide has turned and the incoming waves are murky with yellow-brown foaming sludge. It looks like sewage. A storm-drain still dumps waste water straight into the sea here. 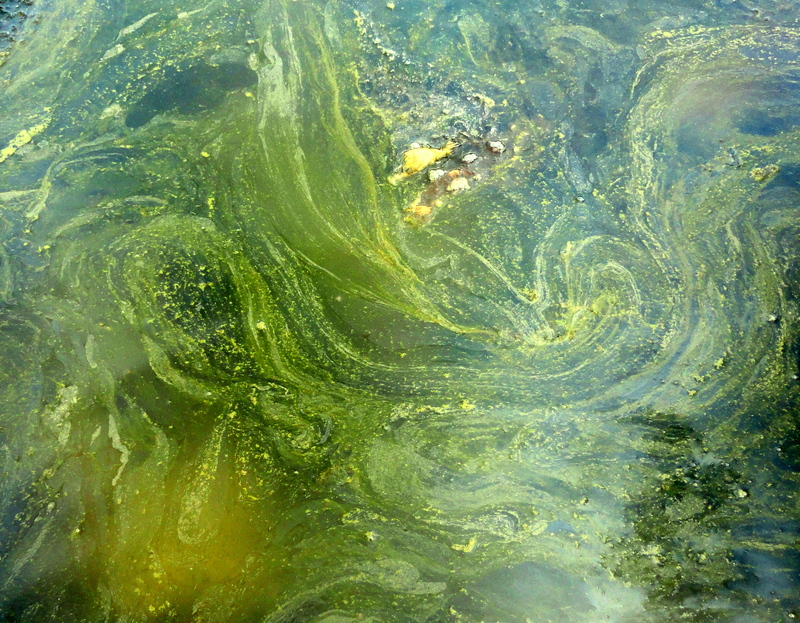 Palm oil has also been dumped in the sea nearby this last winter and washes up in festering yellow lumps. There’s plastic among the rocks and pieces of discarded fishing line and net. It’s a reminder of how much still has to be done to protect these areas – of how little it means that this area is now an official ‘Marine Conservation Zone’. Local marine conservation groups, the Cornwall Wildlife Trust and Surfers Against Sewage are doing a great job and together we can make a difference. If you want our shores to thrive, then please do give them all the support you can.